Developed specifically for the trajectory of the .223 Rem /5.56 NATO round with 55-grain polymer tip bullet, the BDC 600 reticle offers shooters unique open circle aiming points and hash marks from 100 to 600 yards. To simplify field adjustments, Nikon has integrated this feature into the P-223 riflescope. Just sight-in as usual, then lift the spring-loaded adjustment knob, rotate to your “zero”, and reengage. Field adjustments are now as simple as dialing-in your subsequent ranges. 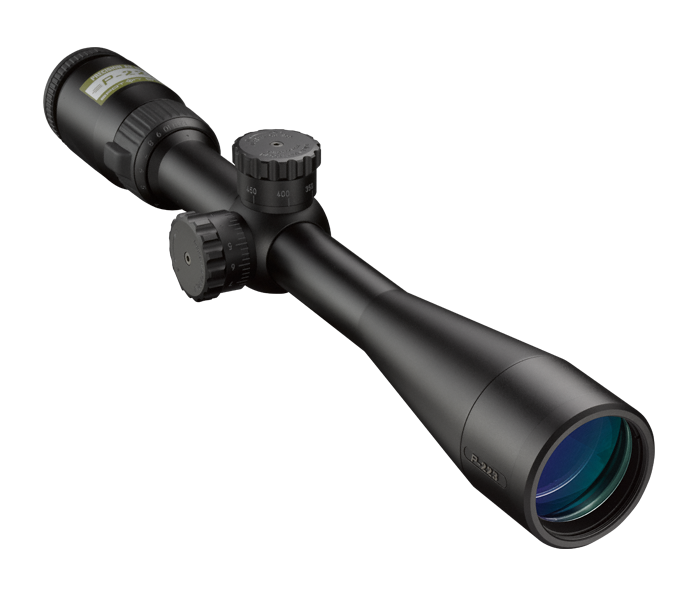 The P-223 series, like all of Nikon’s riflescopes, is optimized for use with Nikon Spot On Ballistic Match Technology. Spot On allows you to discover all of the exact aiming points on your scope’s reticle at various yardages for your specific ammunition and load.